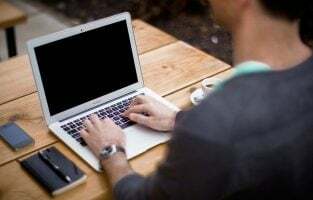 While laptops are gaining immense popularity for various applications because of their convenience, desktops are still in demand. It is no wonder that the common computer manufacturers have monitor sales alone to cater to those who love their personal computers. Like laptop screens, desktop monitors also come in various sizes. You can choose the best size that meets your requirements. Most monitors come with stands so that you can view them comfortably when you place them on your desk. Although flat monitors are the most often sought after, some manufacturers like LG and Samsung have created a revolution by offering curved monitors that have their own advantages over the flat counterparts. The following is a list of some of the best monitors in the market today that you can think of investing in. The Sceptre 24 inch monitor is an LED screen with 1920 x 1080 pixels resolution. This ensures excellent picture details and colors like you would experience on a smaller 22” screen. The monitor also supports 1080/60i, 1080/60p, 480i, 480p and 720p resolutions. The accessory has a response time of 5 ms, a maximum refresh rate of 75 Hz, a brightness of 250 cd/m^2 and a lamp life of more than 50,000 hours. The Energy Star certified monitor can be tilted backwards by 15 degrees and forward by 5 degrees to render the best viewing angles. The monitor has a stylish and sleek design with a thin chassis and a slim black bezel. The accessory has two HDMI ports, VGA ports, two input ports and a central stand with a circular base. It supports VESA wall mount option. The monitor is compatible with Windows 10 that in turn is backwards compatible with earlier Windows versions of Windows 7/8/XP. 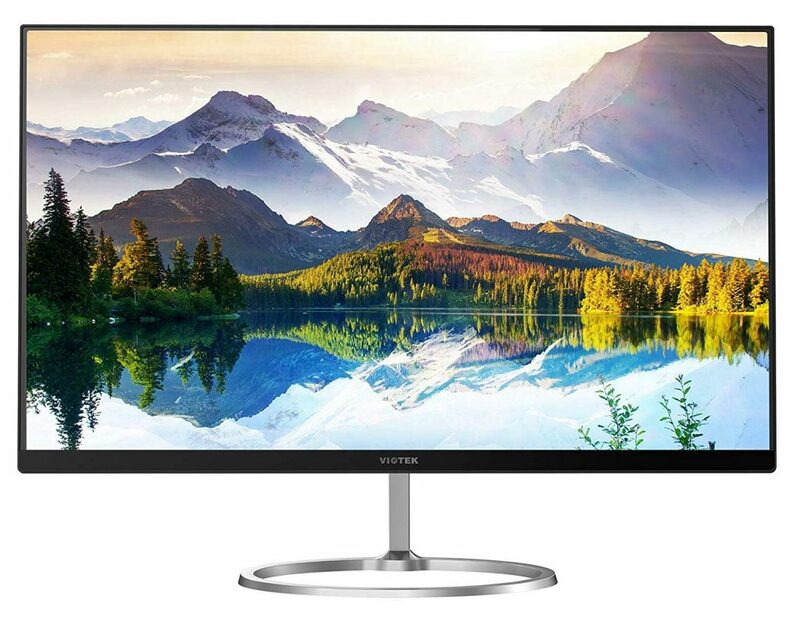 The Samsung 32” monitor is a 1920 x 1080p resolution LED screen with 1800R curvature, 5000:1 contrast ratio and 16:9 aspect ratio. The monitor also incorporates the manufacturer’s very own Active Crystal Color technology that makes the colors appear truly vivid and vibrant. The excellent contrast ratio ensures that the accessory delivers bright whites and deep blacks. The white monitor has a stylish curve with an ultra slim and sleek design that makes it not more than 0.5 inches thick. The PVC free accessory has an energy saving feature that allows it to adjust the screen brightness automatically and reducing the same when needed to save power. It comes with a simple and elegant angled circular stand. The Game mode helps gamers realize the best gaming experience with their monitor. The monitor is compatible with the Windows operating system. 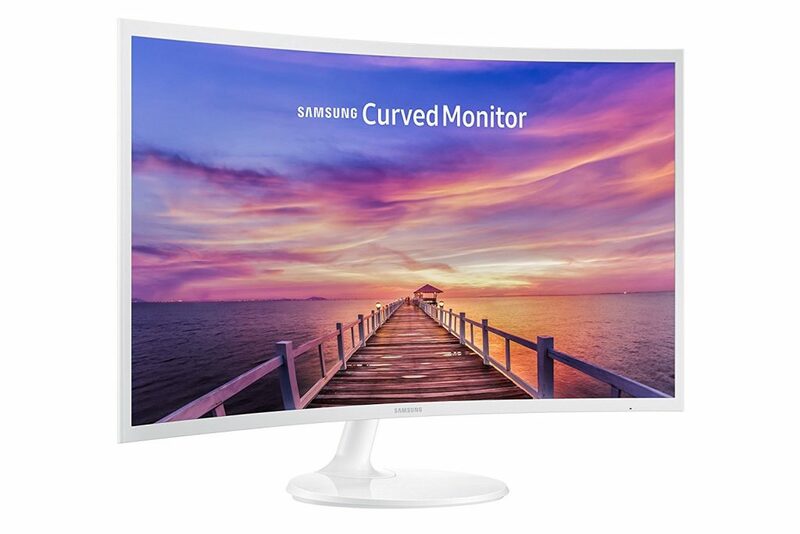 The curved design makes the monitor ideal for those who love to watch large panoramic views. 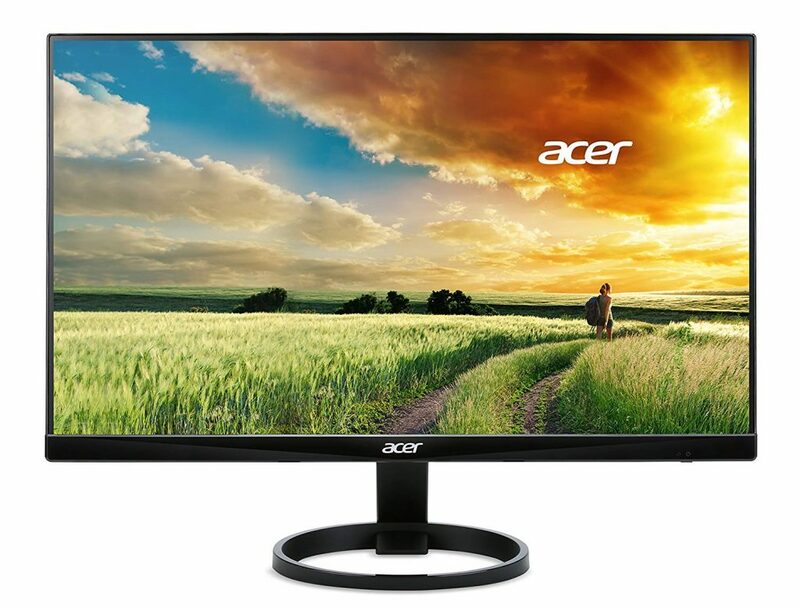 The Acer 23.8” monitor is an IPS Full HD LCD screen with 1920 x 1080p resolution. The monitor features the Acer Flicker-less technology that puts screen flickering at bay and incorporates a blue light filter that avoids strain on the eyes. 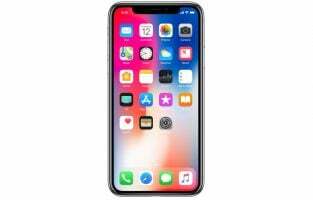 The accessory has a wide viewing angle of 178 degrees, a maximum refresh rate of 60 Hz, a response time of 4 ms, 250 nit brightness, an aspect ratio of 1.78:1 and 16.7 million display colours. The Energy Star certified mercury-free monitor encompasses tilting facility that allows you to place the accessory at various angles ranging from -5 degrees to 15 degrees. The black monitor features a zero-frame design that offers maximum visibility of content on the screen from edge to edge. It also includes a central brushed hairline finish rectangular stand with a circular ring style base. The accessory comprises a VGA port, a DVI port with HDCP and an HDMI v1.4 port. The widescreen monitor comes with a VGA cable and a power cord. 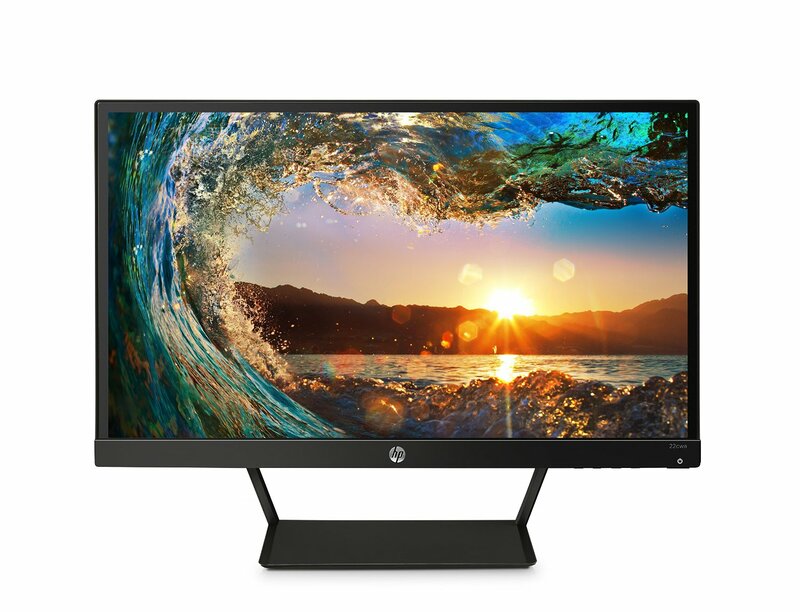 The HP 23.8” monitor is a Full HD IPS LCD screen with mercury-free LED back-lighting and 1920 x 1080p resolution. The monitor also encompasses a three-sided micro edge design. The accessory features bright picture quality with a 178-degree wide viewing angle, a 16:9 aspect ratio, 250 cd/m^2 brightness, 5 ms response time, 60 Hz refresh rate and two million pixels that render vibrant image quality and crystal-clear visuals. The monitor is made of arsenic-free glass. The low voltage halogen design helps in conserving energy. The black monitor has an anti-glare panel with an ultra-slim design that gives it a classy look. It comes integrated with two 2W speakers, as well as HDMI, HDCP and VGA ports. The accessory also supports multiple pivots, height and tilt adjustments. The monitor includes a central stand with a solid rectangular base that facilitates the standard 100 mm VESA pattern mount. It is compatible with the Android operating system. 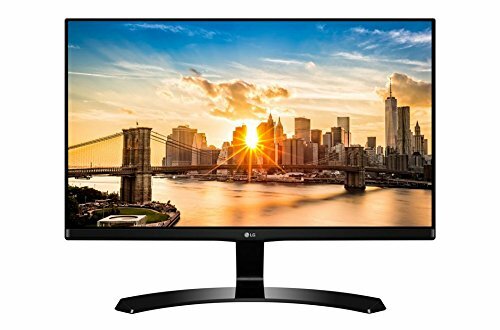 The LG 34” monitor is an ultra-wide IPS QHD HD curved screen with 3840 x 1440p resolution and LED back-lighting. The monitor supports Screen Split 2.0 (PIP Mode), Quick Charge 3.0, FreeSync, key lock, on-screen control, flicker safe, energy saving and automatic standby functionalities. It also incorporates game, reader and picture modes. The accessory has a 75 Hz refresh rate, a 5 ms response time, a 5M:1 contrast ratio, a 21:9 aspect ratio, 178 degrees viewing angle, a 300 cd/m^2 brightness and sRGB over 99% colour gamut. The black monitor comprises an anti-glare 3H hard coating. It comes with two HDMI 2.0 ports, one Display Port 1.2, one USB Up-Stream 3.0 port and two USB Down-Stream 3.0 ports. 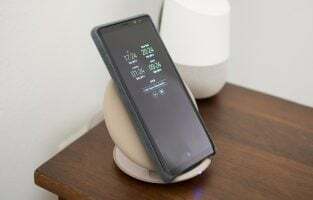 The Quick Charge 3.0 functionality is supported by one USB Down-Stream port and charges connected devices four times faster than a standard USB 3.0 port. The accessory comes with a central height and tilt adjustable stand with a semicircular base and supports 100 mm VESA mounting option. The monitor supports the Windows operating system. 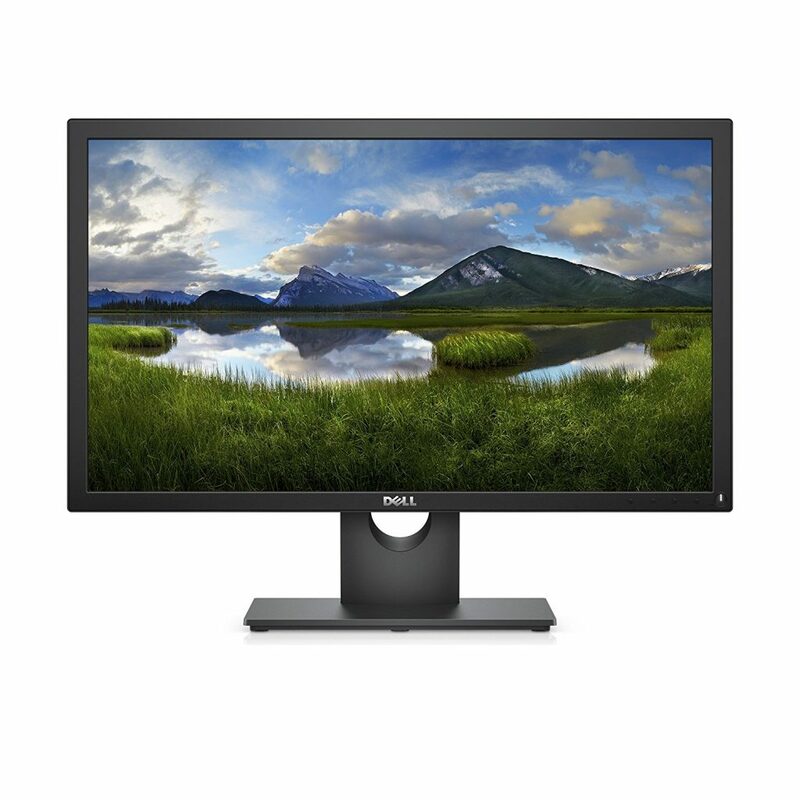 The Dell 23” monitor is a Full HD IPS screen with 1920 x 1080p resolution, 96 ppi and white LED back-lighting. The flicker-free screen of the monitor has a matte surface and a wide viewing angle of 178 degrees both horizontally and vertically. It also optimizes eye comfort and renders comfort viewing by minimizing blue light emission. The monitor comprises 1000:1 static contrast ratio, a 16:9 aspect ratio, brightness of 250 cd/m^2, response time of 5 ms and maximum refresh rate of 60 Hz. The accessory encompasses tilt functionality that allows you to tilt the monitor at a 5 degrees angle in the forward direction and a 21 degrees angle in the backward direction. The anti-glare screen comes with a 3H hard coating. The black monitor has easily accessible buttons on the front panel that help in adjusting the contrast, brightness and power. The display screen also features customizable preset modes. The accessory encompasses HDMI, D-Sub and VGA ports, as well as a matching central stand with a solid rectangular stand. It supports VESA 100 x 100 mounting option. 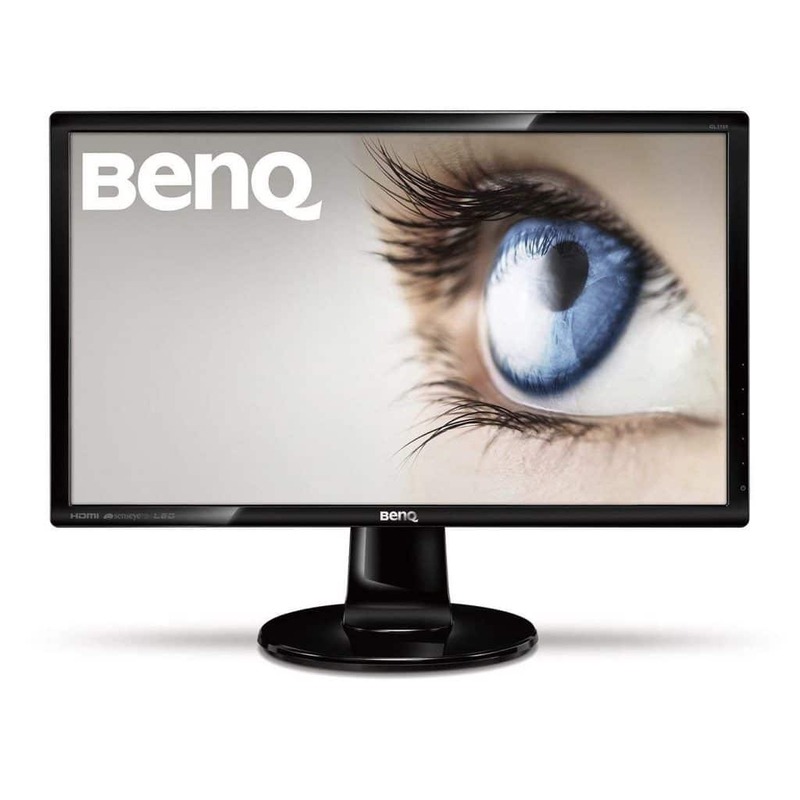 The BenQ 27” monitor is a Full HD screen with 1920 x 1080p resolution, 82ppi and an LED display. The monitor supports ZeroFlicker and Low Blue Light technologies that make the eyes feel comfortable while using it. The ZeroFlicker technology lessens the strain by eliminating the flicker at any brightness level. The Low Blue Light technology filters out the blue harmful light resulting in less irritation and fatigue. The accessory has low input lag, a response time of 2 ms, a maximum refresh rate of 60 Hz, a 1.78:1 aspect ratio, 300 nit brightness and a very high 12M:1 contrast ratio. The monitor can be tilted downwards by an angle of 5 degrees and upwards by an angle of 20 degrees. The glossy black twisted nematic monitor comprises a slim bezel design, an enhanced Eco mode that helps in saving power and purpose-built colour modes to help in easier viewing. The monitor features multiple ports comprising a D-Sub port, a DVI-D port, two HDMI ports and a headphone jack that allow connection to both analog and digital devices. It comes with a thick central stand that has a steady circular base and has an Energy Star 7.0 certification. The accessory is compatible with Windows 7, Windows 8 and Windows 8.1. The monitor comes with a three-year warranty. 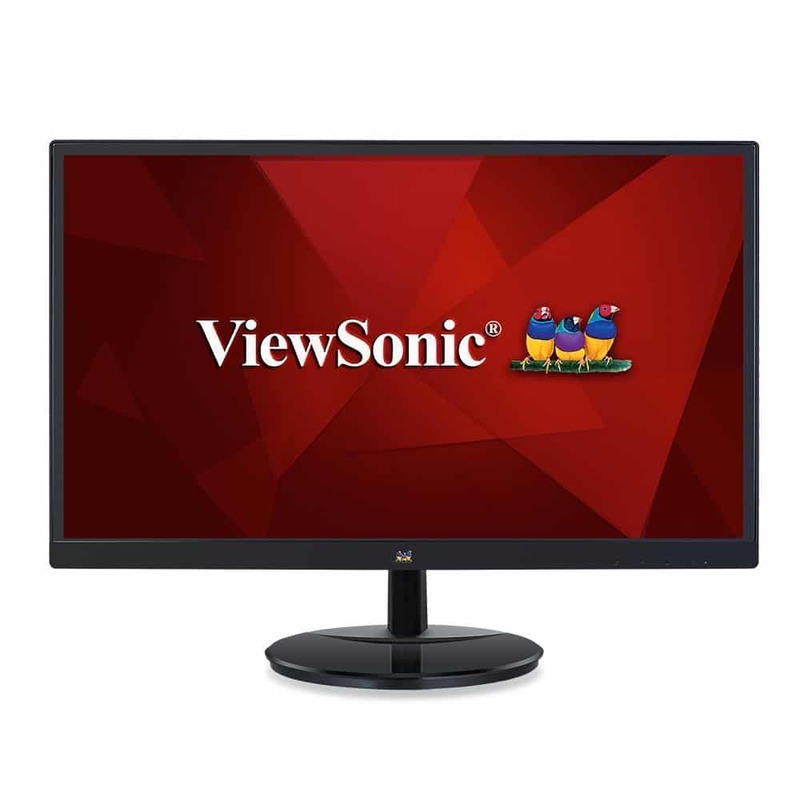 The ViewSonic 27” monitor is a 1920 x 1080p resolution Full HD display screen with a Super Clear anti-glare 3H hard coating IPS panel and LED back-lighting. The monitor renders high-quality detail and clarity with razor-sharp precision. The accessory also offers excellent 178 degrees viewing angles from any point irrespective of it is below, above, side or front. It provides enhanced viewing comfort with a blue light filter and flicker-free technology that cause minimal strain on the eyes when viewing the monitor for an extended period. The monitor has a response time of 14 ms and a back-light life of 30,000 hours. The unique ViewMode feature supports game, mono, movie, text and web presets that help in improving the color temperature, gamma curve, brightness and contrast to create the best viewing experience for various screen applications. The black monitor has a very thin bezel that makes the accessory look frameless. 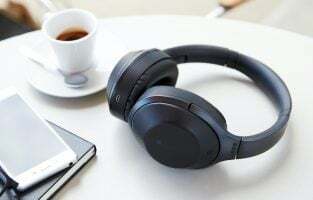 It comprises two 2W internal speakers, 3.5 mm Audio In and 3.5 mm Audio Out connectors, as well as HDMI and VGA input ports that offer flexible connectivity to get connected to PCs, MACs and POS systems. The accessory also features On Screen Display and a Kesington Lock Slot. It comes with a central stand that rests on a sturdy circular base. The monitor features a VESA compatible mount design. It comes with a power cable, a VGA cable and an audio cable, and features a three-year limited warranty. 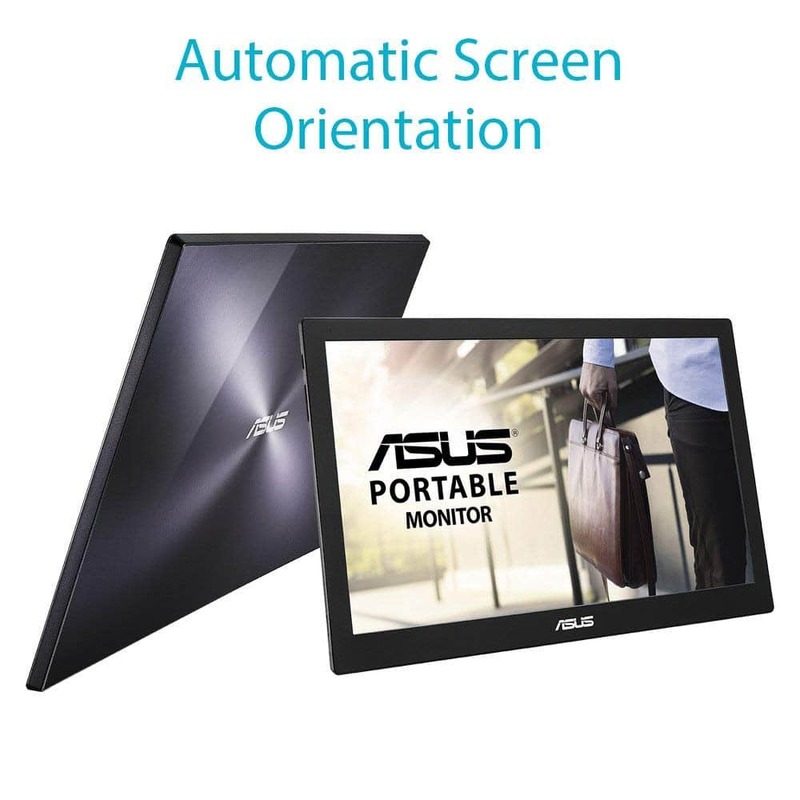 The Asus 15.6” monitor is a Full HD auto rotating display screen with 1920 x 1080p resolution, an IPS panel and LED back-lighting. The USB monitor encompasses a response time of 25 ms, horizontal and viewing angles of 160 degrees, a contrast ratio of 700:1 and a maximum brightness of 200 cd/m^2. 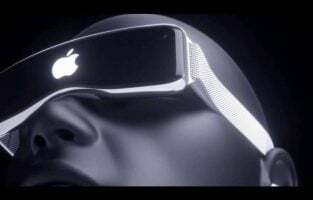 The accessory features a blue light filter that reduces the blue light emission from the screen and causes less strain on the eyes. It has a high bandwidth that helps to experience fluid and fast images from the connected device. The sleek, slim and lightweight monitor comes with a metallic finish and a Zen-inspired design. The accessory encompasses a USB 3.0 cable that can be used for both data and power transmission. It is compatible with multiple operating systems that comprise Mac OS, Microsoft Windows, Linux and Chrome OS. The monitor is also backward compatible with the USB 2.0 port of a desktop PC or a notebook. 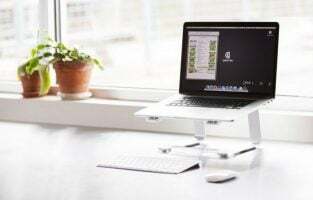 It comes with a smart carrying case that offers the dual functionality of serving as a protective sleeve and acting as an adjustable stand when the monitor is used on a tabletop. The Viotek 24” monitor is a Full HD flat display LED screen with 1920 x 1080p resolution to deliver crisper, sharper, clearer and cleaner images. The monitor features a response time of 14 ms, a maximum refresh rate of 60 Hz, an aspect ratio of 16:9 and a dynamic contrast ratio of 2,000,000:1 that give the display a cinematographic feel. The high contrast ratio also ensures that the colours do not get mixed up and stand apart so that you can enjoy them in detail. The black monitor showcases a bezel-less display so that you can enjoy the images displayed to the maximum from edge to edge. The border-less feature gives the monitor an aesthetic look. The 0.13” thickness and 10.7 lbs weight makes the accessory really sleek and lightweight. The amped monitor encompasses both HDMI and VGA connectivity options so that you can connect it to different types of devices. It comprises a detachable silver coloured central stand fixed on to a matching circular ring. However, the monitor does not support VESA wall mount. The accessory comes with a user manual, a VGA cable, a power cable and screws to fit the stand. 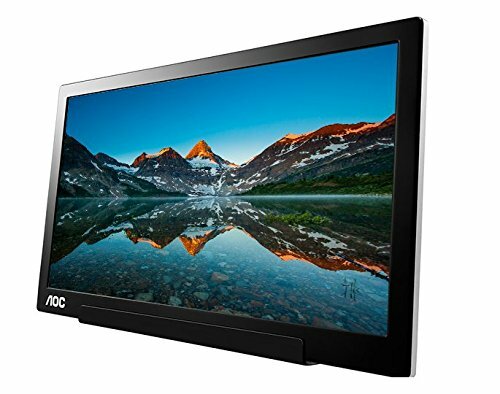 The AOC15.6” monitor is a Full HD LED back-lit TFT Active Matrix screen with an IPS panel and 1920 x 1080p resolution. The monitor has a 160° viewing angle in both horizontal and vertical orientations, a 60 Hz refresh rate, a 5 ms response time, a 220 cd/m^2 brightness, a 700:1 contrast ratio and a 16:9 aspect ratio. The Low Blue Mode technology reduces harmful blue light emission from the monitor by keeping the color temperatures under control without affecting the vivid and natural colours of the display panel. The auto-pivot feature adjusts the image automatically according to the orientation mode of the display so that you do not have to alter the settings yourself when you swap between the two modes. The black monitor comprises a matte anti-glare coating on the screen. It can be tilted at an angle in the range of 5 degrees to 25 degrees. The accessory encompasses a USB Type-C port and includes a compatible cable for connection to another device without using a separate power cable. It comes with a smart cover that protects the monitor and acts as a foldable stand to support the same when placed upright on a flat surface. The monitor is compatible with Windows 10. This is probably the best monitor to mention in our list that comes with excellent features, bigger screen size and definitely a heavy price tag. So, if you are not restricted to any budget then this is the piece for you. This monitor has a bigger 34-inch screen with 3440 x 1440 resolution while the aspect ratio is 21:9. So, if you love to watch movies in the theatres then this monitor can offer you an amazing experience. The contrast ratio is 1000:1 with the bright and inviting IPS display. However, not just the movies rather it will let you play the games smoothly. Speaking of best monitors to buy, there is a great model from the well-known electronics company LG. LG has brought this monitor keeping in mind the students and all those who can’t afford an expensive one. 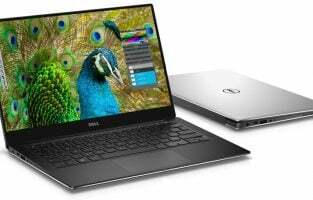 This laptop too comes in a very affordable range under $200. While considering the features, this monitor is as good as other expensive monitors to handle all kind of tasks smoothly. 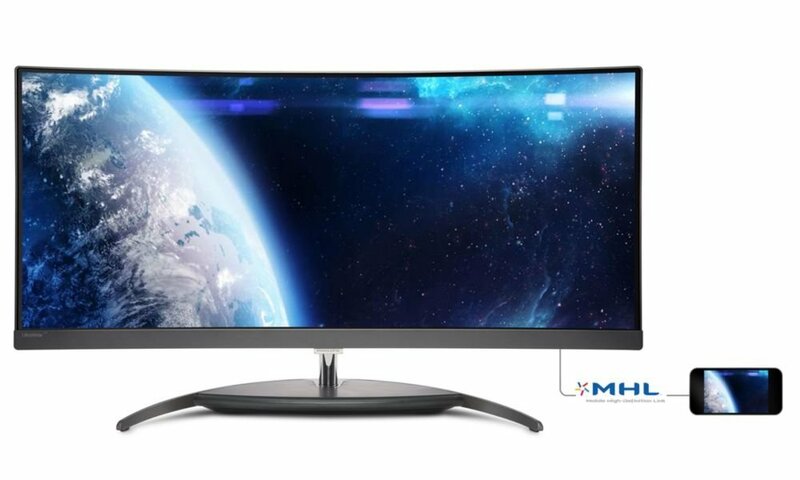 The specifications include 23inch full HD screen with IPS technology included, support for Freesync, 75Hz refresh rate, excellent viewing angle, color contrast etc. 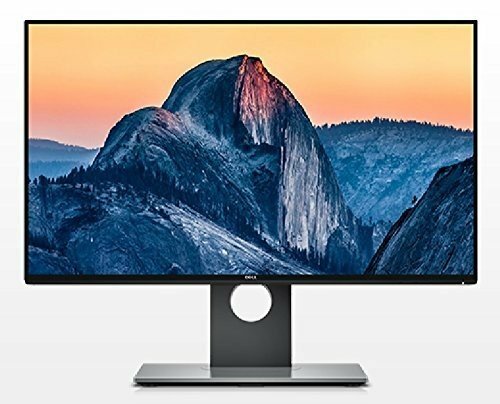 which altogether makes this monitor really a good choice. Looking to have a monitor in the midrange that is packed with high-end features to blow your mind? 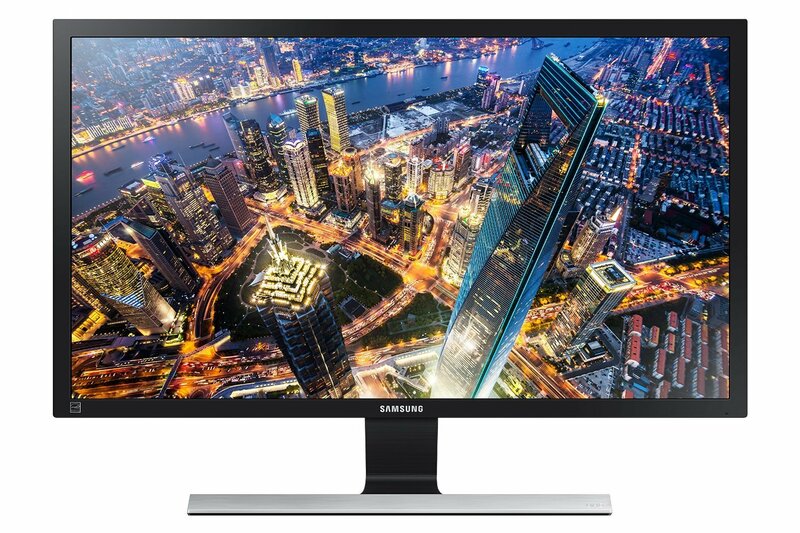 Well, then this monitor from Samsung is a really great piece to own that is just perfect for every purpose. However, this monitor is ideal to watch movies, videos and enjoy games as the 60 HZ Refresh rate supports all kind of 4K content. Also, the picture is highly vivid, sharp and very clear. And you can enjoy them without any lag. The 28-inch size is also ideal for watching movies that offer a theatre-like feeling. The monitor is packed with the eye saver mode feature which eliminates the strain on eyes by reducing the emission of blue light and flickers. Are you looking for a monitor especially to play the high-end games? Then nothing can be better than this monitor which has support for G-Sync. The support for G-Sync ensures if you have an Nvidia graphics card then all the high-end games can be enjoyed smoothly. However, other attraction of this monitor is its curved display and that bigger 35inch screen size. Other features include 3440 x1440 Resolution, 21:9 aspect ratio, 20,000,000:1 Dynamic contrast ratio, great support for connectivity such as Display Port, HDMI, USB port etc. But this monitor is bit heavy having an 11.8 kg weight. So, ensure the computer table is rigid enough to take the weight. This is one more mid-range monitor to mention in our list which comes under $300. So, consider looking at it if your budget is under $300. This ultra-sharp monitor is made to deliver excellent image quality with a contrast ratio of 1,065:1. The screen is ideal having a size of 24-inch with a great resolution of 2,560×1,440-pixel. You can enjoy movies, videos, and perform other tasks. Support of 99.6% of the sRGB colour range ensures all the texts and images look very sharp in this mid-range monitor. The options for connectivity too are numerous with a display port, mini display port, 3 USB 3.0 and the HDMI input. With all these, the look and design of the monitor is really stunning with a thin bezel and excellent metallic stand. 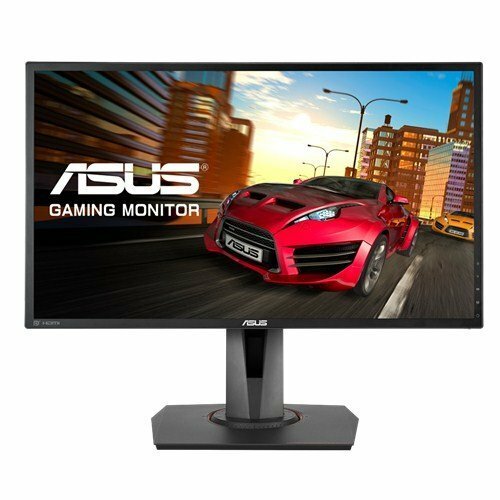 If you are a game enthusiast but your budget is a bit low, then look at this monitor which is designed especially for the gamers. But the price is been kept very nominal so that all can reach their hands towards it. The Adaptive Sync is what let you enjoy the games hassle free. Its features include 144Hz Refresh rate, TN panel, 1 ms response time, Flicker free display with pivot etc. The performance of this monitor is very flexible and scalable while the ergonomic stand looks very practical. 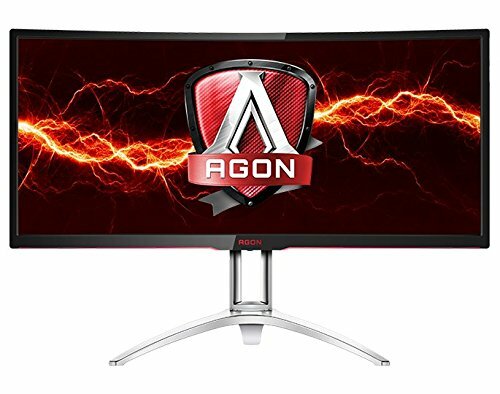 This monitor is available on Amazon at a great discount rate. So just check if this is what you are actually looking for. 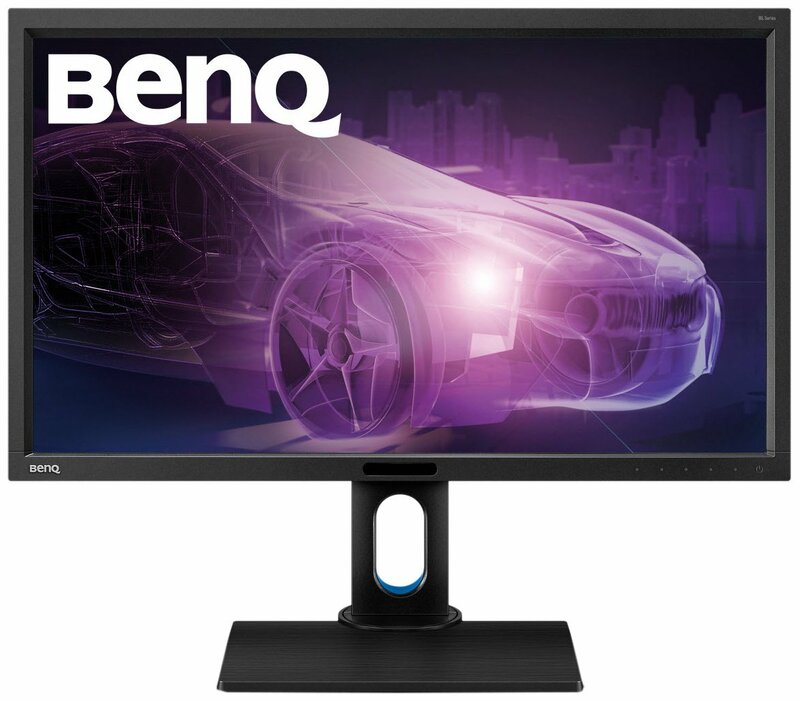 If you are an artist and play with the colors then this monitor from BenQ is the best choice for you. 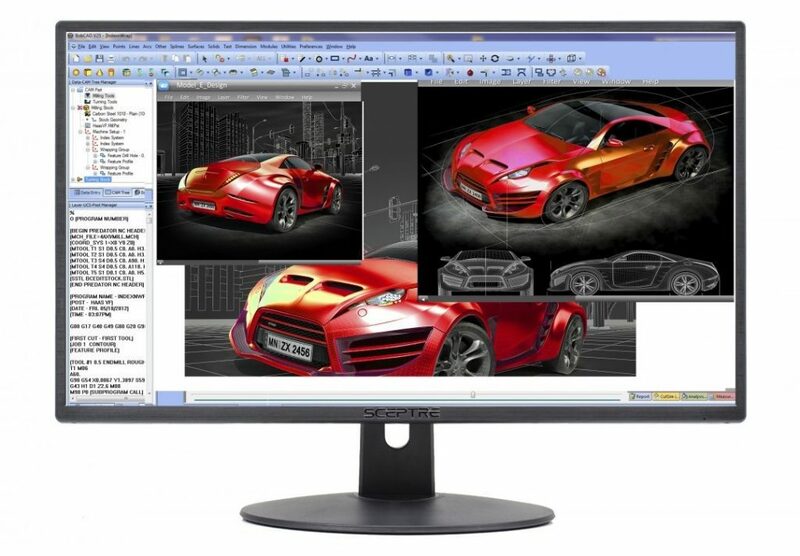 This monitor is featured with all those specifications which are highly needed by the graphic designers and artists. 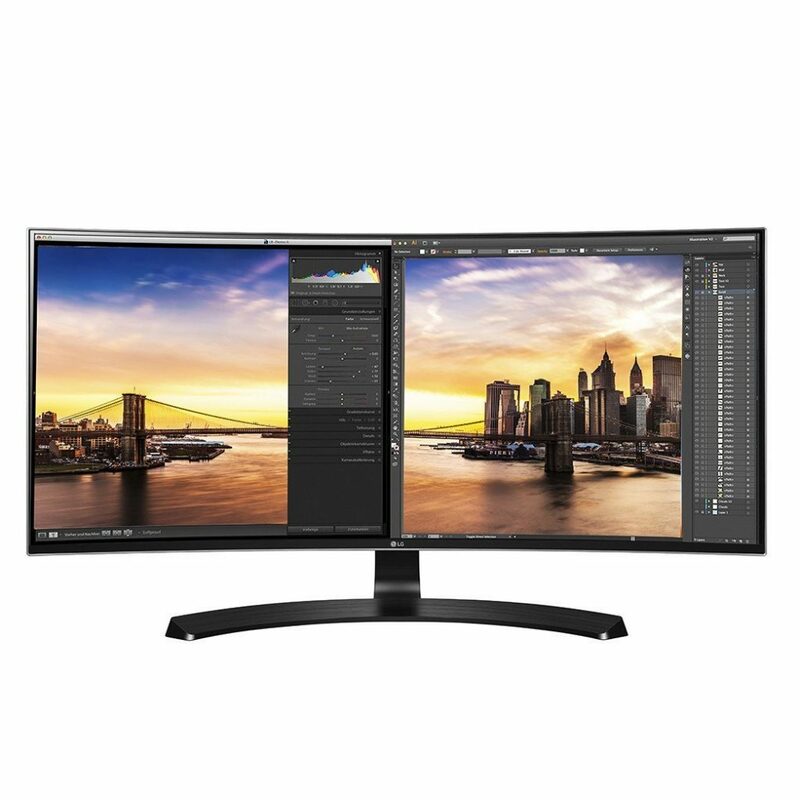 Its 27inch 4k Ultra HD IPS screen of 3840×2160 resolution, 20,000,000:1 Dynamic Contrast Ratio for excellent color accuracy, animation and CAD/CAM mode, 100% sRGB, 4ms GTG and 10-bit are the reasons why this monitor is called as the designer monitor. Get it on Amazon at the reasonable price tag. 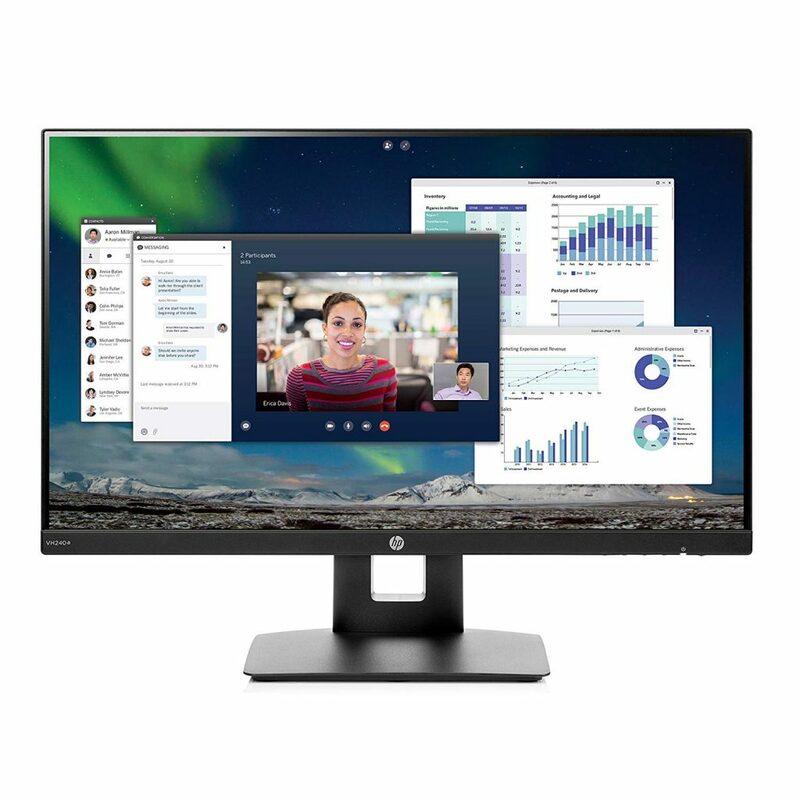 Almost all popular manufacturers have a wide range of monitors to offer in different sizes and with various features and price points. One of the key factors that affect the pricing decision is the display technology incorporated in the monitor. If you want a monitor for entertainment purposes such as gaming or watching your favourite movies, picking one from those that have IPS panels would be ideal because of the wide viewing angles. On the other hand, USB powered monitors are the best if portability is your primary concern. Although a bit pricey, curved monitors offer an immense viewing experience compared to their flat counterparts. The stands of most monitors are removable so that you can mount them on a wall if you want to save on floor space.